How the very devil are you? Glad to hear it/that's a shame (delete as applicable). On to business. I was hoping to be able to do a poll kind of thing here but if there's a way to include it on this website then the method is eluding me. 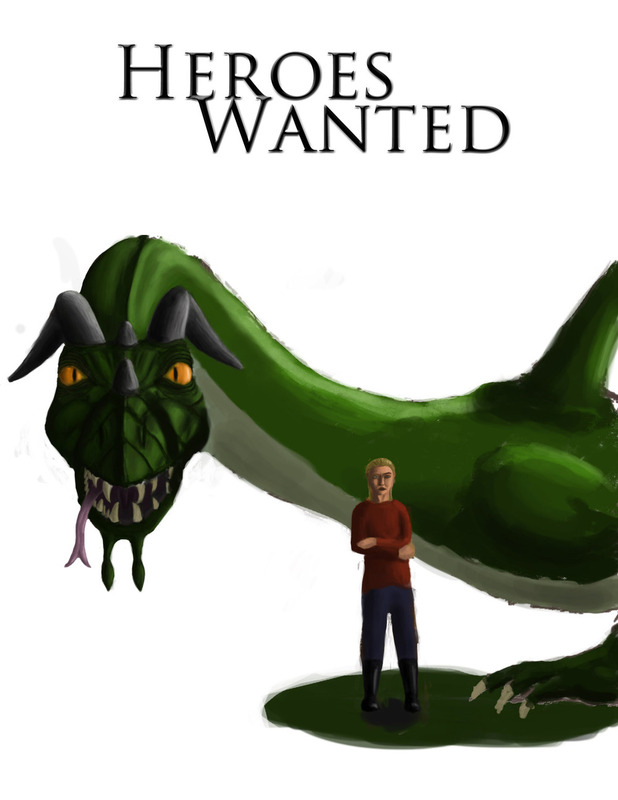 I have an almost finished fantasy novel, currently titled Heroes Wanted, that should be ready for release in the next month or two and I need a cover for it. To help me decide between the four concepts I've come up with in Adobe Photoshop Elements 11 (PC/Mac) , I thought I'd canvas the opinion of the interwebs. 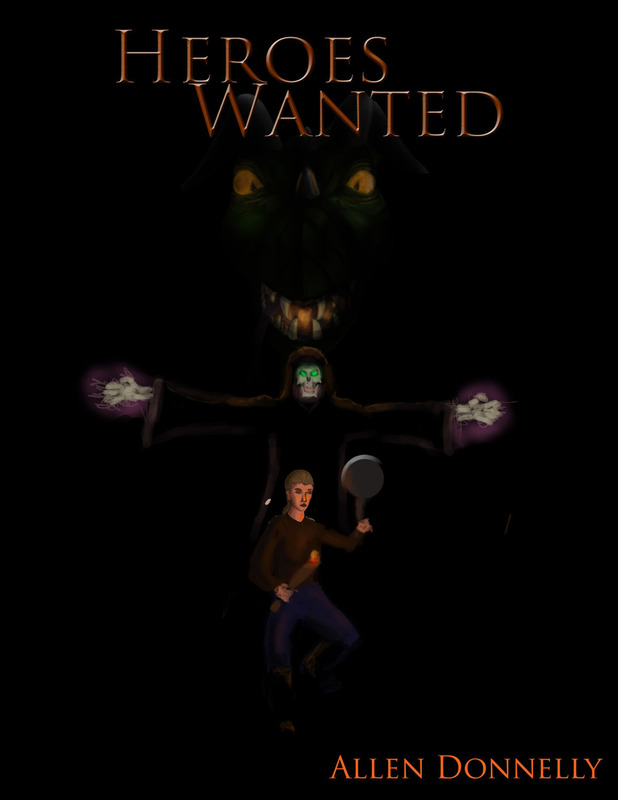 So please, take a butcher's at these and tell me what you think. Obviously, these aren't finished but I want to get a feel for which one's best before I really try to polish them up.